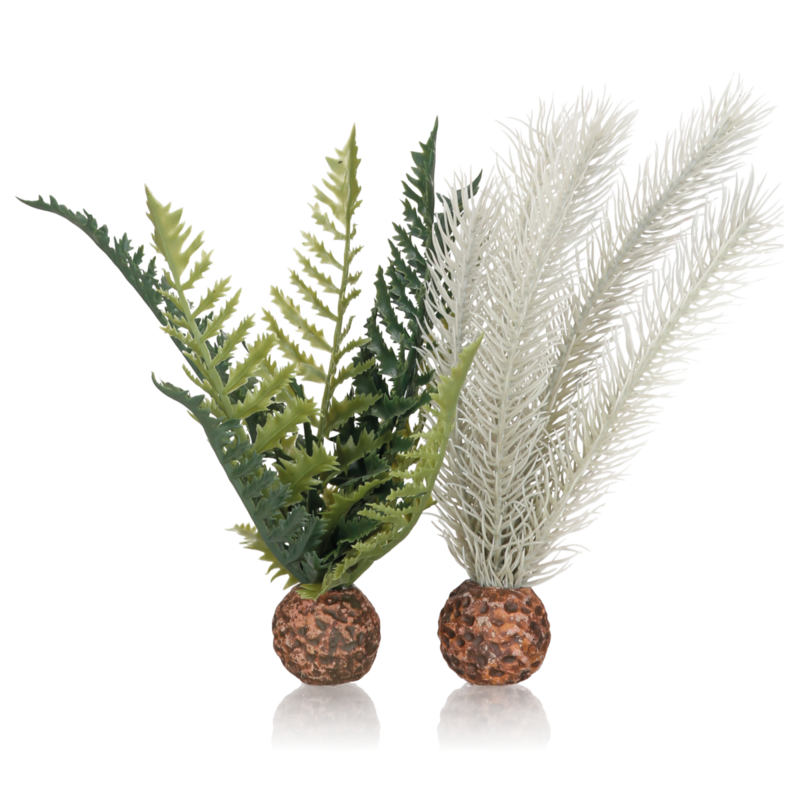 The Oase BiOrb Thistle and Fern artifical plant has been designed to help enrich the creative underwater display of your BiOrb Tank. The Green and Grey plastic plants have a handy weighted base then ensure the plant stays upright, even if accidentally knocked over. The plants can sit in the base of the tank and sway gently with the flow of the surrounding water. The ball base makes them easy to place and move if needed as you can simply lift and replace where needed. And because they are weighted, they will not float to the surface. 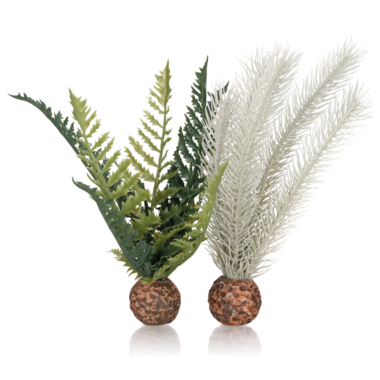 The artificial decorative plant can blend in with a selection of ornaments, decorations and plants and can be used in any type of aquarium.